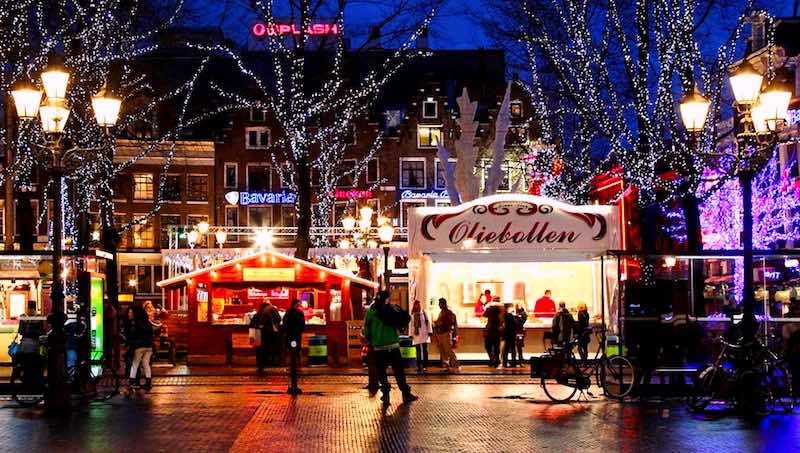 Does Amsterdam have a Christmas market? The monthly Museum Market puts on an extra festive occasion on Sunday the 9th of December. On the market you’ll find over a hundred designers in the field of jewelry, art, fashion, photography and interior. Ideal if you you’re looking for a special Christmas souvenir. You can also go ice-skating here till February 3rd, 2019. Moreover, there’s a huge Christmas tree over here which makes it a great place to take a nice Christmas picture. It’s also party time at sawmill The Otter. During this Christmas market you can take a steam mill lessons course and there is a living nativity scene. There’s also live music and a Christmas market with local entrepreneurs such as Vleesch (meat), Visch, Stadshout and Café Binnenvisser. Let’s be honest: the location alone is just perfect. 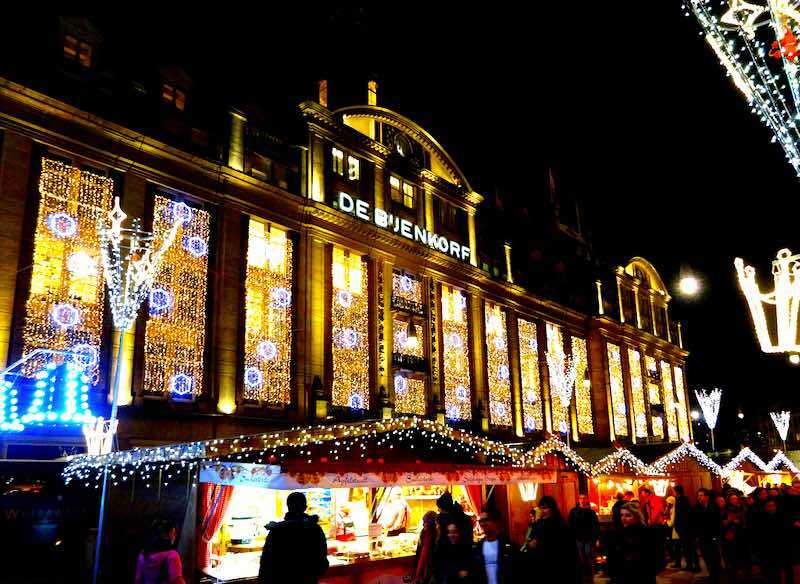 Ruigoord is back with the annual Christmas market. With great food (from, among others, Hot Lightning, Tante Tofu and Dos Chicas), workshops, and activities such as potato beating, making earrings and doing tarot cards. And whilst you’re there: go and have a good time searching for treasure on the market. Who knows, you might come across a special gift! 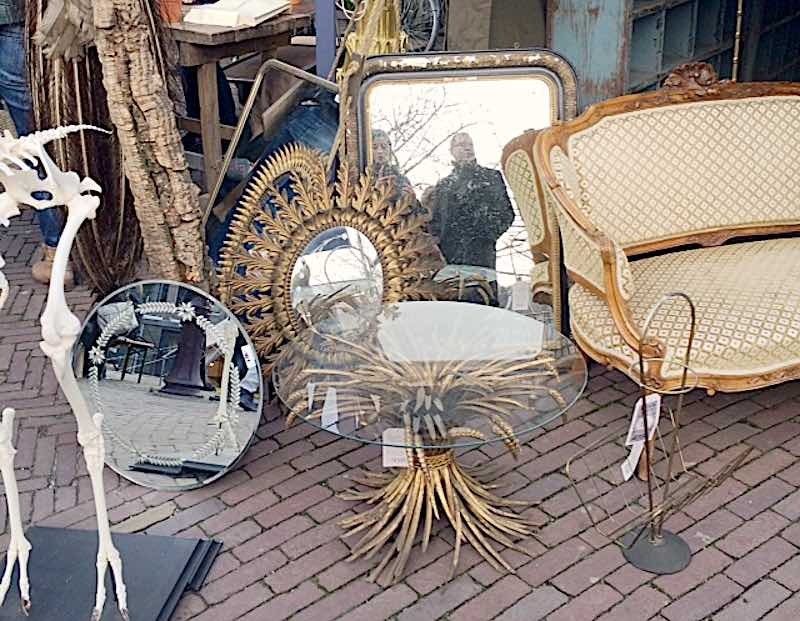 There are two things certain in life: you have a Sissy-Boy market in the summer (Vondelpark) and one winter. This Christmas edition takes place at the Sissy office in Amsterdam North. Expect lots of Christmas balls, Christmas outfits, live music and hot chocolate with whipped cream. In other words: go ahead ad try to come home empty-handed. After last year’s success, a new Kesmarkt could of course not fail to come. This year Kesbeke director Oos organizes the Kesfeest, a cozy Christmas market in Bos & Lommer – an area in the western part of Amsterdam. Kesbeke is an Amsterdam family business whose main activity is the production of products such as dill pickles, Amsterdam onions and silver onions. The proceeds of the Kesmarkt will go to a charity located in Amsterdam West and is yet to be determined. Christmas, but a little different for a change? Then take the ferry to Amsterdam North’s NDSM area because there you can enjoy a Christmas market in Japanese style. This Christmas market is part of the Sushi Festival. Expect Japanese snacks, drinks, Santa Claus and … Pikachu. Entrance to the Dappermarkt Christmas market. Picture source. On the square between Mauritskade and Pieter Vlamingstraat you can go to a nostalgic Christmas market on Saturday the 15th of December. With drinks, food, music and a carousel for the little ones. Do you still need to score gifts? Then you are at the right place at the Amsterdam Christmas markets Funky Xmas on the Westergasterrein. For the eleventh year in a row, the Sunday Market organizes a fine market with many original stalls and gifts. The brand new Amstelkwartier celebrates Christmas with a market full of sustainable and local products. Nice as a gift, or for yourself. With Bettinabakt pies, fresh and smoked fish from Jan Woord from Urk (a fishing village in the central Netherlands), herbal tea from Sean, bags and vintage from Karla Keet. There’s also fire, Koor (choir) aan the Amstel will sing under the heavenly stars and there will be mulled wine. How do they celebrate Christmas in Scandinavia? Well, with baking bread and cookies, for example. You can do that during the Scandinavian Christmas market in the Muiderkerk. Creative people are will be at the right address anyway: you also make decorations for ‘jul’, the wheel of the time that turns the year to lighter days. 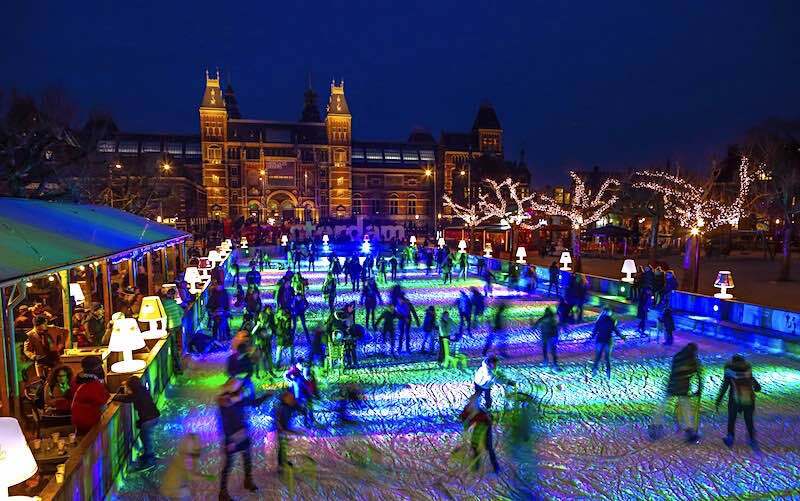 What is there to do in Amsterdam in December besides the Amsterdam Christmas markets? 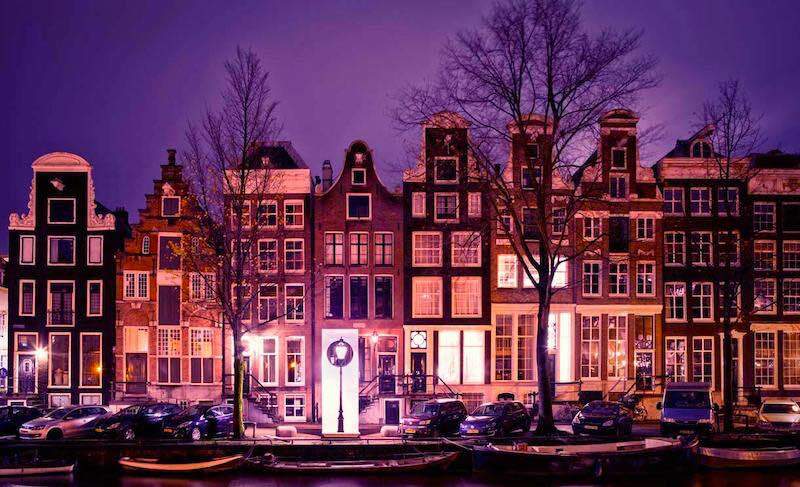 Besides the regular activities in Holland’s capital, such as taking a canal cruise, going to the best bars, visiting a real Amsterdam coffeeshop, and doing a Red Light District tour with a local guide, there’s also the Amsterdam Light Festival! 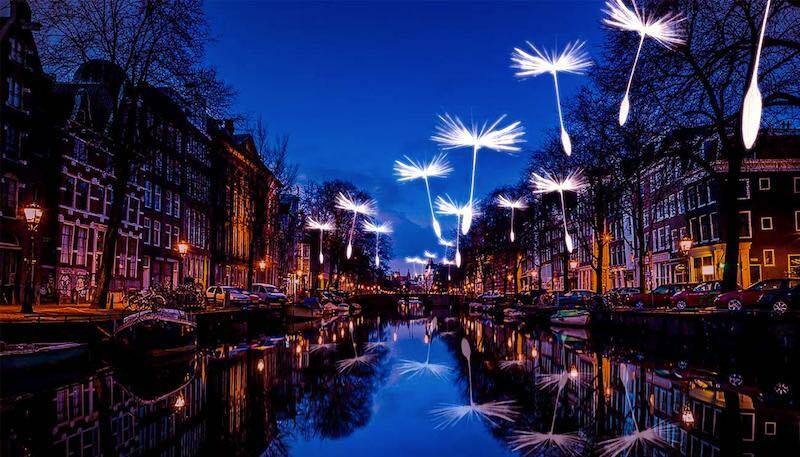 Take a canal cruise and see the 30 different light artworks stretching over, or standing next to, Amsterdam’s historic canals. All the artworks are specially created for Amsterdam. We’ve also made a list of the 10 most unusual museums which should all be nice and warm inside. Is December a good time to visit Amsterdam? The city is a lot less busy in December than in the warm summer months so if you don’t like crowds December is your month. Because it’s less busy hotel and Airbnb rates should also be lower. An added bonus is that you can experience this dazzling historic city with all the beautiful Christmas lights everywhere. Is it cold in Amsterdam in December? Yes, it’s quite cold in December! Bring warm clothing with you, including a warm jacket, gloves and some headgear. The average temperature in December is around 4 °C (39 °F).